January 2, 2013 December 23, 2014 / Julie Brook, Esq. Do you know about charging liens? You should, because they can make all the difference to you getting paid for your attorney fees and costs. A charging lien is a lien on a future recovery to secure the client’s obligation to pay the attorney when the recovery is received. The attorney and client may provide for such a lien in their fee agreement. A charging lien also may be implied if the fee agreement indicates that the attorney is to look to the judgment for payment of the fee. The fairness of a fee agreement and the lien to secure it is viewed as of the time the agreement was made. So, if an hourly fee or a contingent fee agreement was otherwise fair when made, a charging lien may be used to secure the fees required under that agreement. A charging lien is different from a judgment creditor’s lien, which is created when notice of the lien is filed after the judgment comes down. By contrast, an attorney’s charging lien is created and takes effect when the fee agreement is executed. It’s a valid “secret lien” and is protected even without a notice of lien, but it’s common and encouraged to file a notice of lien. One great benefit of charging liens is that you’ve got priority! A valid attorney’s lien has priority over later established liens, even a judgment creditor’s lien. See Cetenko v United Cal. Bank (1982) 30 C3d 528, 534, 179 CR 902. But there’s a catch: the California Supreme Court has held that an attorney’s charging lien is an interest that is adverse to his or her client because, although the lien doesn’t allow the attorney to summarily extinguish the client’s interest in a monetary recovery in a particular case, it could impair the client’s interest by delaying payment of the recovery proceeds until any dispute on the lien is resolved. Fletcher v Davis (2004) 33 C4th 61, 68, 14 CR3d 58. This means that generally you’ll have to comply with Cal Rules of Prof Cond 3-300 before you can get a charging lien, except in the case of a contingent fee agreement, which has been held not to create an interest adverse to the client. Plummer v Day/Eisenberg, LLP (2010) 184 CA4th 38, 49, 108 CR3d 455. Obtain the client’s consent in writing to the terms of the transaction or the terms of the acquisition. The State Bar of California has published a sample form for an attorney’s charging lien that complies with Rule 3-300 that you can include in your fee agreement. Starting out on your own and not sure how to get paid? 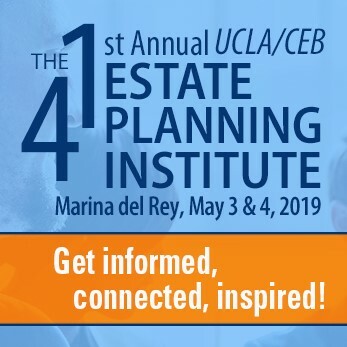 CEB has you covered with a full discussion of fee collection and sample forms in California Client Communications Manual: Sample Letters and Forms, chap 9. There’s also a sample attorney’s lien in CEB’s Fee Agreement Forms Manual §1.38. CEB has a related CLE program on Legal Ethics issues of Attorney Fee Agreements, available On Demand. Also check out CEB’s program Making Sure You Get Paid: Accounts Receivable Management, available for FREE! Found this blog post interesting? Check out our related post Suing Your Client to Get Paid.